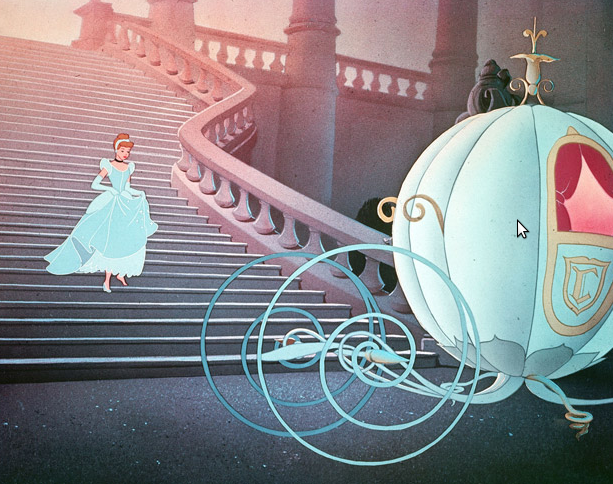 How many remember this scene from Walt Disney's Cinderella? 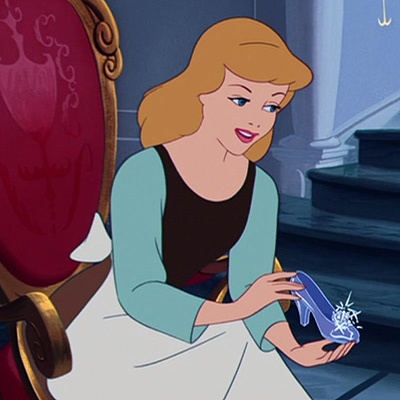 It's the scene where the Prince's men go around each house to see if a particular glass slipper fits. 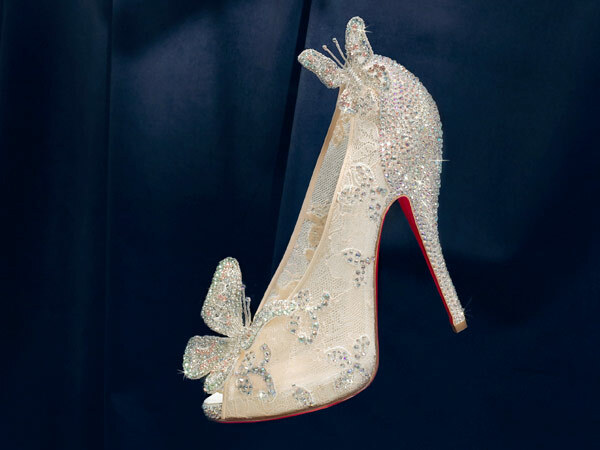 When I first read that famous shoe designer Christian Louboutin was recreating Cinderella's glass slippers, I rolled my eyes. Really. I wasn't excited. 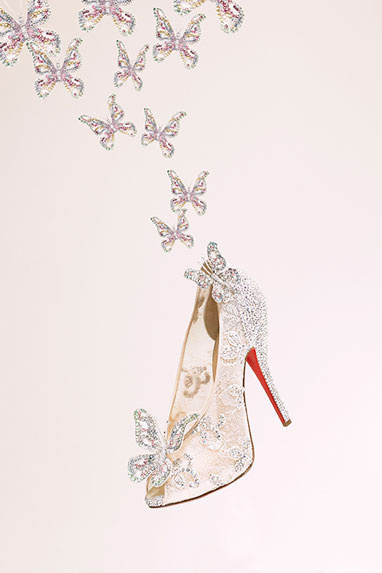 It would just be another pair of shoes with red soles. But I was gobsmacked when I saw the image of the actual shoes and just had to give my opinion about it. See for yourself! 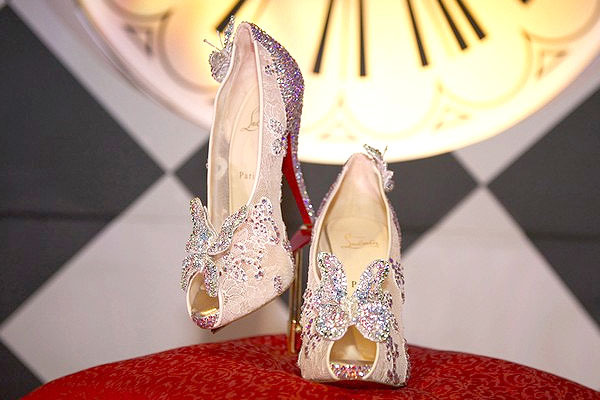 The shoes are made out of sheer lace, Swarovski encrusted butterflies and more Swarovski crystals. It's a little more on the bling side of the things (near the heels) but I admit- these shoes capture the essence of 'beautiful'...just like Cinderella. I love butterflies any way (see the image header at the starting of the blog? It has butterflies) so anything with butterflies is alluring to me. Just a thought though- one would usually wear these type of shoes with an evening gown or wedding gown(?) which practically conceals your feet. 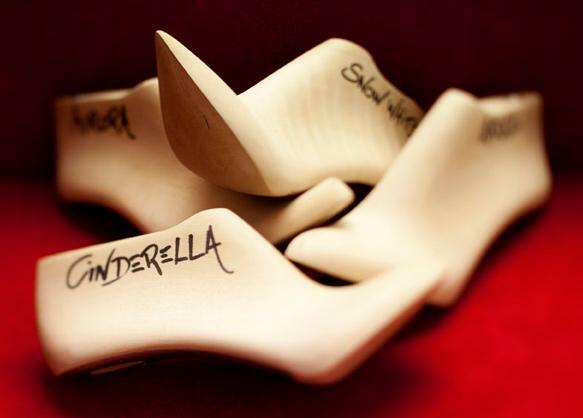 So how are people going to see those gorgeous pair of heels? All in all, I think these are a winning pair. Although I won't buy it right away (like I said, these shoes according to me should be saved for that one BIG event) I'm definitely going to go try them on. Christian Louboutin is available at Dubai Mall and I'm guessing these shoes will arrive sooner or later at the store if not available already.